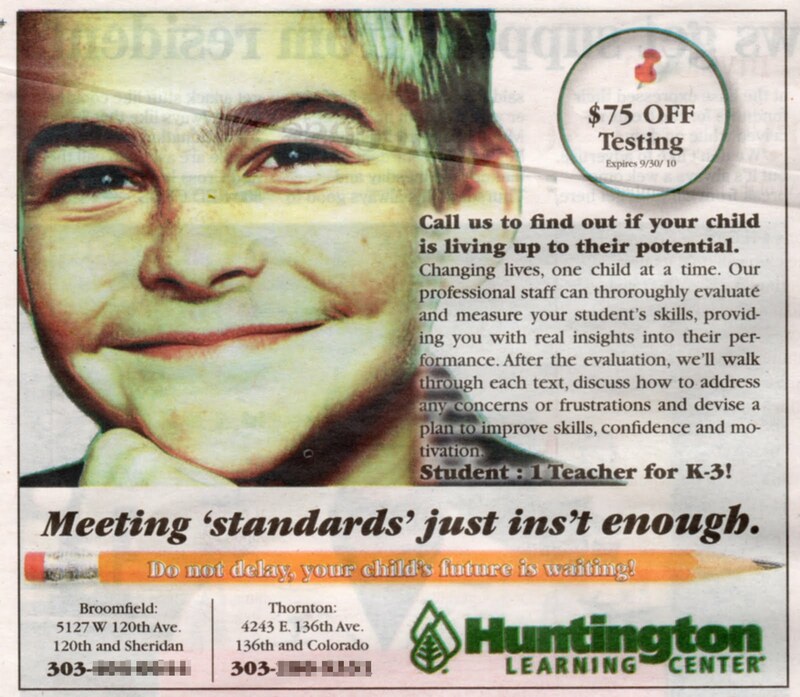 This is an ad for a learning center?! Where to begin? The egregious misspellings ("throroughly" and "ins't"), the lack of agreement between "child" and "their," the inappropriate use of quotation marks, and the use of the British single quote instead of the American double. And let's not forget the annoying close up of the kid's face. What's not to love? Much thanks to Kathy Wirtes for sending me this ad. Keep 'em coming, Kathy! Maybe it's just the scan, but the kid's hair looks grey!